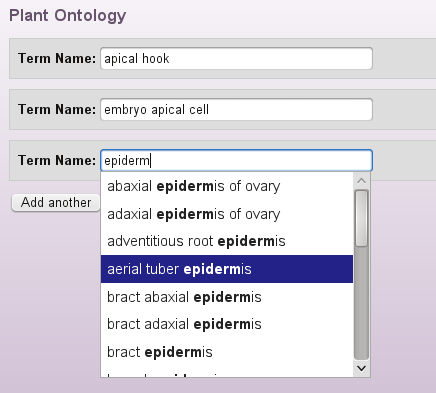 Plant Ontology terms and synonyms are available for use in mobile and desktop applications via RESTful web services. 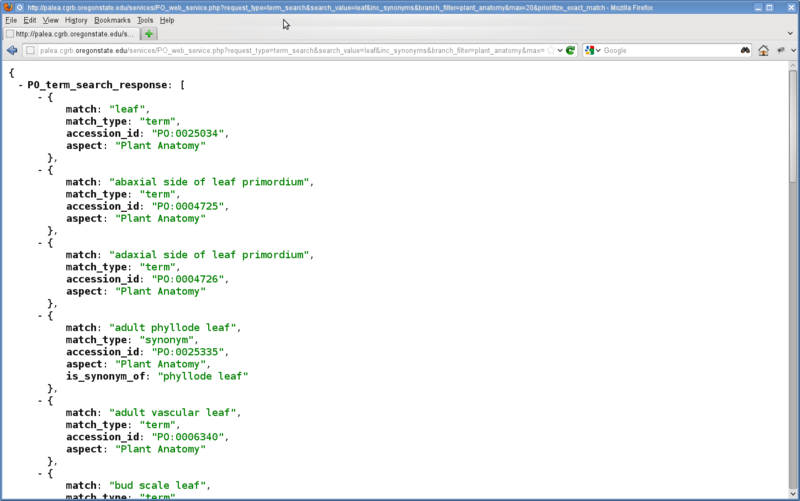 These services, fully accessible to software developers, are encoded in JSON format, a widely-used standard for providing data over the internet (learn more about RESTful web services and the JSON specification). for "PO:0000252" will return the name, aspect, definition, comment, and any synonyms for that PO term. Internet Explorer 8 - Supports JSON natively, but you may need an update. 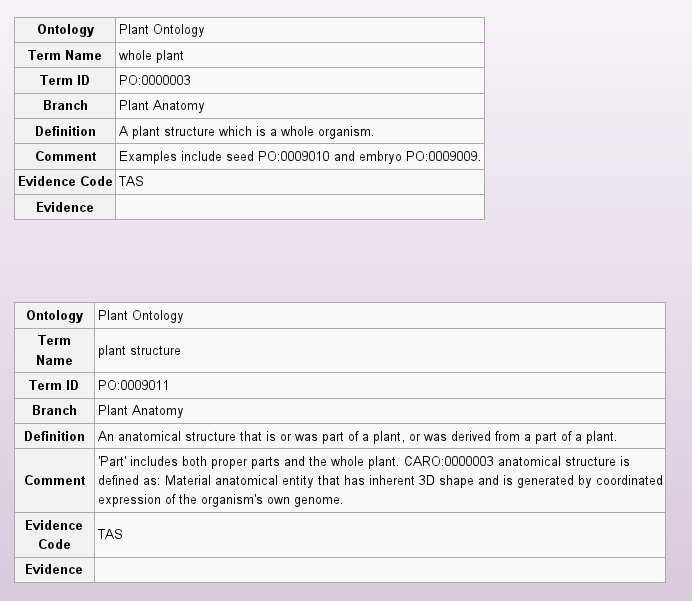 PO terminology...and to provide the application with the proper Accession IDs. The term detail method provides additional data for display or computation. 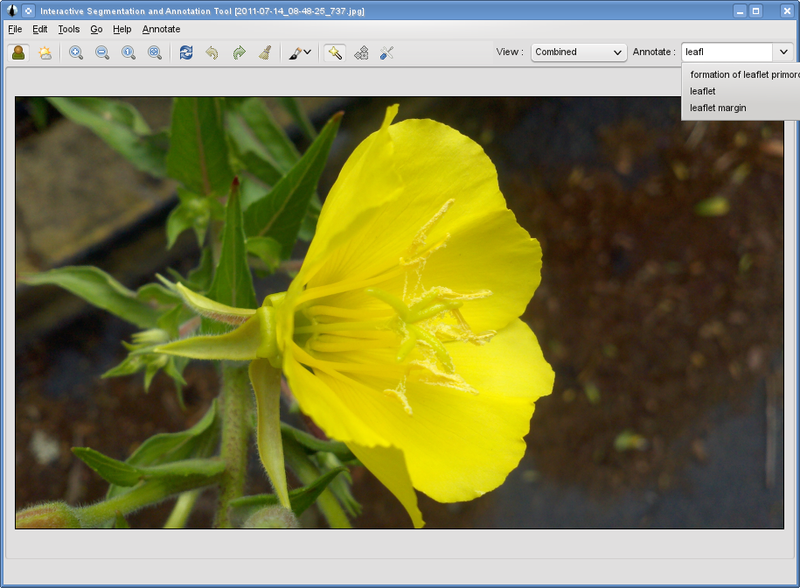 The specific graphical layout is up to the developer.